In the middle of happy gardening yesterday morning, there arose a humming and buzzing that made us look up in surprise. 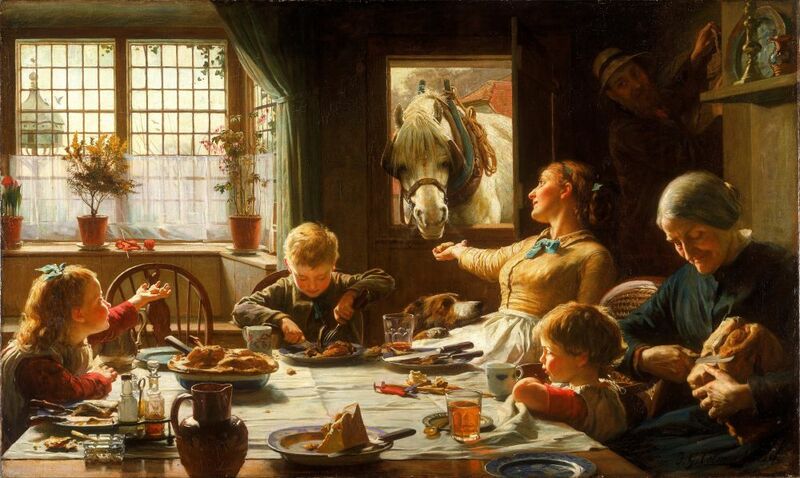 Lo and behold!, the air was full of bees. Bees, bees, and more bees buzzing around and around over the yard, without any apparent aim or order. So we all stood and watched, glad that they were busy buzzing a couple of feet over our heads, and not further down. Shortly thereafter, the buzzing grew faint. 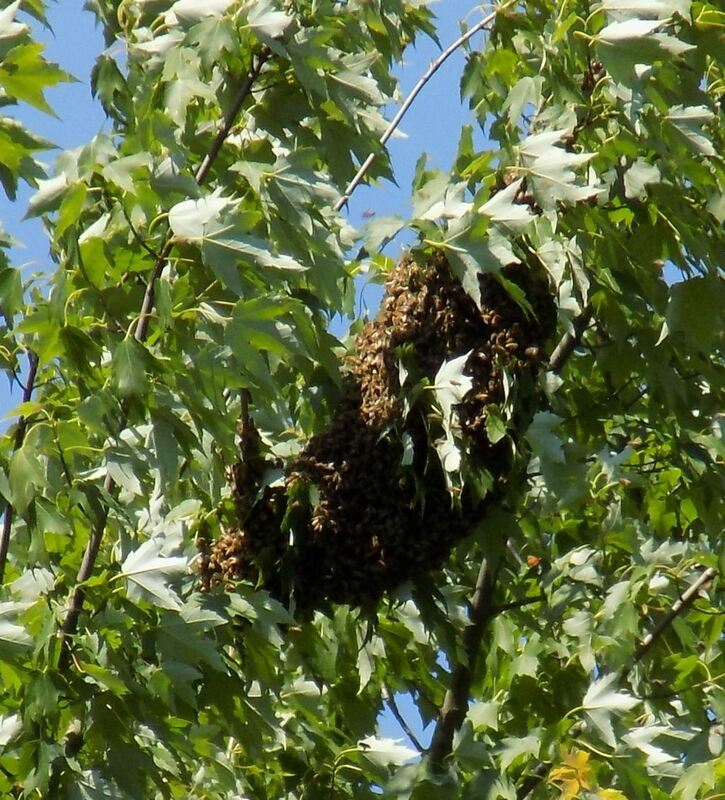 But it did not take long to figure out what was happening: About 70 feet off the ground, in the top branches of a tall maple tree, the bees had all gathered for a break. There they hung, in a cluster of bees that bent the branch, with some of them still swarming around as if on guard while the majority of them was resting. Not sure what they were up to, but we figured they were looking for a new home. After about an hour and a half, they had disappeared. I guess the real-estate agent they were waiting for had finally shown up to take them to their new domicile. Good luck to you, bees!